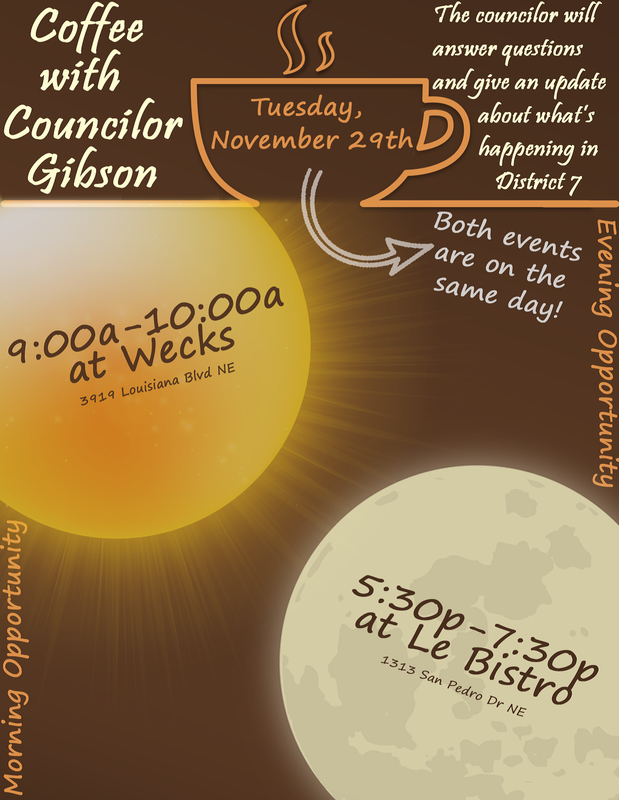 Join Councilor Gibson for Coffee at 9-10 a.m. at Wecks, 3919 Louisiana NE and at 5:30-7:30 p.m. at Le Bistro, 1313 San Pedro Dr NE on Tuesday, Nov. 29. The Councilor will answer any questions and give an update about what is happening in District 7. See you there! Please contact Chris Sylvan at 768-3136 or csylvan@cabq.gov if you have any questions.